New-age digital tools can bring in positive intervention into farming practices. Making agriculture a sustainable livelihood for millions of Indian farmers calls for a serious thought and deliberation. NITI Aayog’s plan to double the farmer’s income by 2022 stressed upon giving focus to irrigation and quality seeds. However, there is more that can be done by integrating technology in routine agricultural operations. IoT forms an integral part of the next generation of Indian agriculture. Farmers in many parts of India are largely dependent on climate-related such as a good monsoon for their harvest which has a huge impact on their profits. Sujay Ojha, Advisor to Weather Risk Management Services Pvt. Ltd feels that with uncertainties around rainfall, it has been a constant battle with nature to produce quality yields in a good quantity that will help their income and survival. Seasoned farmers used farming history and their expertise to battle this uncertainty. They were able to predict what plant will grow and how much water was needed based on the weather condition to continue farming successfully. Generations of farmers have followed this wisdom that has been passed on to them. However, they were somewhat unprepared for was the climatic change in the global warming and the effect it has on farming. ICT and the recent addition of IoT have started transforming the agriculture industry and helping farmers to improve their crops productivity and yield. Simple factors such as knowing the soil type, when to farm, understanding weather and rainfall forecast, being ready to manage pests with preventive measures can lead to a profitable year of harvest. When one of these factors is overlooked, farmers may encounter adverse effects on the harvest yields. These new-age digital tools can bring in positive intervention into farming practices. A tool like My Farm Info helps farmers understand their farm better. MyFarmInfo.com is an agriculture information system to help farmer maximize their income by providing them ways to increase their yield and help them get the best price for their produce. Farmers can input their farm details in this software tool on top of GIS interface and enter their farm details. They can look at the farm layout and locate it online using this tool. They will able be able to add new farms and get a complete report on how to improve their farm income by getting optimum NPK application, nutrition information and optimal mandi for the crop. Poor scheduling may cause growers to experience less productive yield. There are several factors that can influence crop productivity. To successfully schedule a crop, farmers have to work backwards from the day they would like to market their crop and then decide on the date of seed sowing. With the help of My Farm Info tool, it is possible to keep track of all stages of crop life cycle. Farmers will receive messages according to the schedule regarding their upcoming crop stages. Weather forecasts and disease alerts will also be sent through SMS. 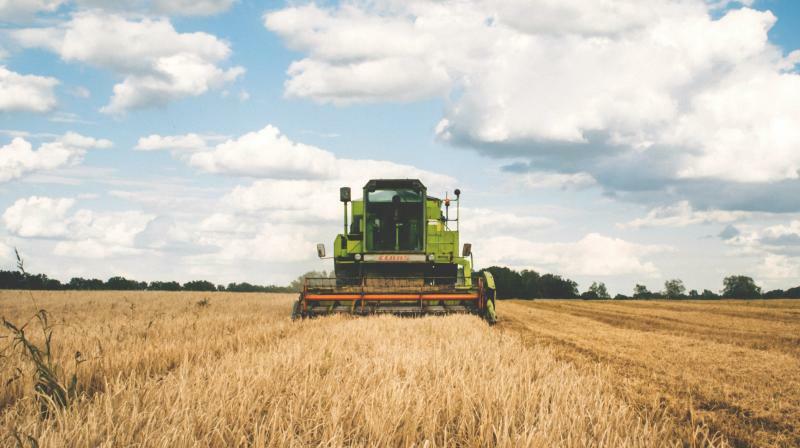 The agricultural industry is fast growing and will always have changes. There will also be a set of risks for the produce. Farmers who want to be successful have to be willing to change, adapt to technology and move to smart farming.